Today I’m sharing a fun little recipe with you with a bit of cooking “Magic” involved. This delicious Magic Lemon Cherry cheesecake starts out with the cake on the bottom and cheesecake layer on top but they switch places during the cooking. A lemon cake mix is an excellent complement to the light cheesecake layer and cherry pie filling tops it all off to perfection. I love that this is a refrigerator cake and a lighter tasting dessert, not overly sweet but just enough, with a flavor that promises Spring is coming! To make this, you’ll need: Lemon Cake mix (and ingredients to prepare it according to package directions), Ricotta Cheese, Eggs, Sugar, Vanilla, and Cherry Pie Filling. The cheesecake part is going to taste lighter than what you are used to with cream cheese cheesecakes, since this one uses Ricotta instead. 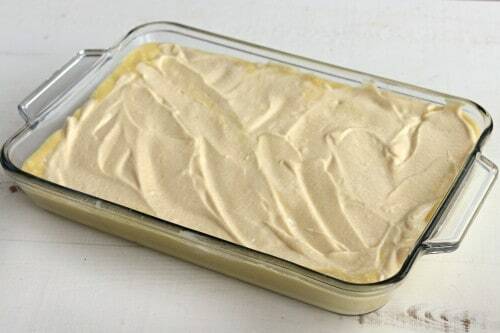 Prepare your cake mix according to package directions and pour it into a greased 9×13 pan. Combine all of the other ingredients except for the pie filling and blend them well with an electric mixer. Spoon that all over the top and gently spread to cover. Well cover as best as you can. I pretty much did it :). Bake this at 350 for one hour or until the center springs back when lightly pressed. 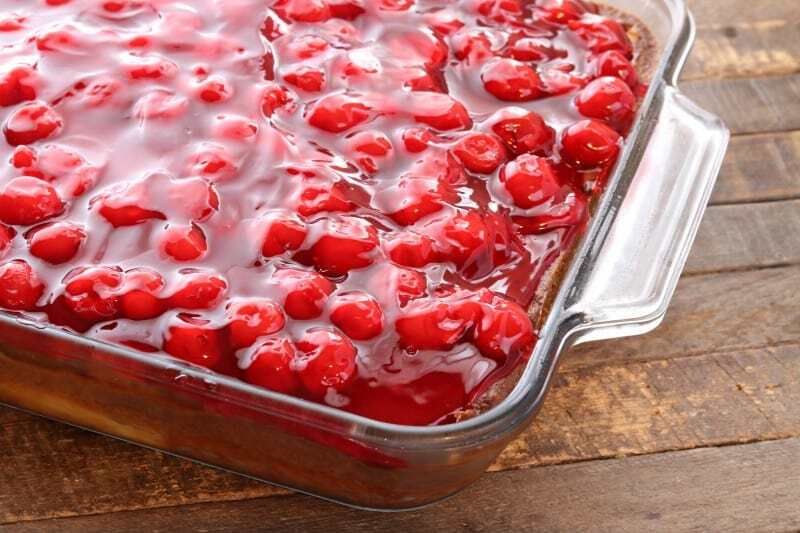 Allow to cool completely and then top with cherry pie filling. Cover and place in the refrigerator until well chilled. ENJOY! These slices come out pretty and perfect every time, just like the one below. 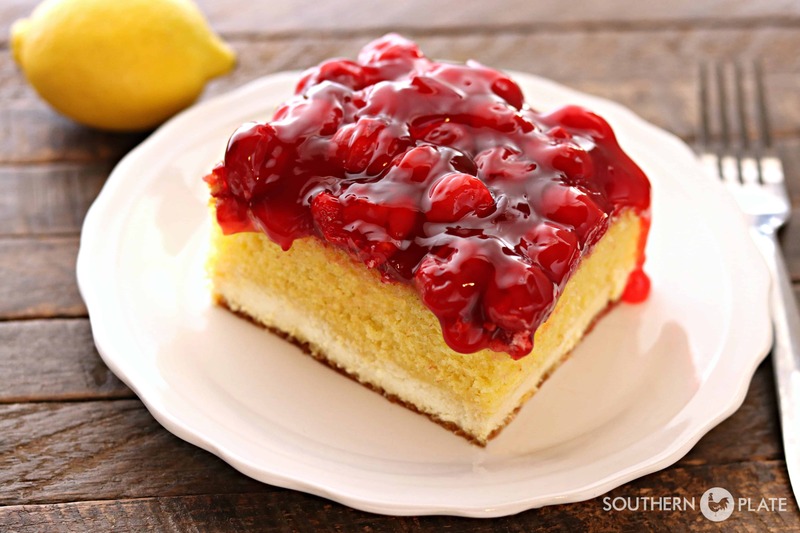 Bring a little sunshine into your life with this Magic Lemon Cherry Cheesecake. Preheat oven to 350. 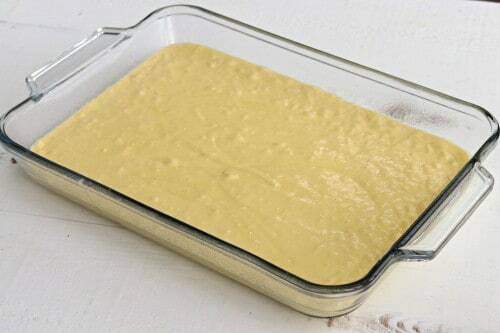 Pour prepared cake batter into a greased 9x13 baking dish. In a large mixing bowl place ricotta, eggs, sugar, and vanilla. Beat with an electric mixer until well combined. Drop this by spoonfuls over the top of the cake batter, trying to distribute as evenly as possible. Place cake in oven for 1 hour, or until center springs back when pressed lightly with your finger. Remove cake from oven and allow to cool completely. Top with cherry pie filling. Then, cover and place in the refrigerator until thoroughly chilled. Serve cold. Note: With the topping this will just barely fit in a standard anchor hocking 9x13 pan. If you have one that is a little deeper you may want to use it but definitely don't use one that is a bit more shallow than the average pan. This dessert is not really super sweet, but just right. My husband will absolutely LOVE THIS! Thank you, I’ve been looking for something special for Valentine’s Day! What a blessed man your husband is to have such a sweet wife! Thank you!!! You just did my heart good today! Thank you, but look at you here, blessing the socks off me! This looks so good except I think I will use blueberry pie filling to top it. The combination of blueberry and lemon is a favorite of mine. Did you use full fat cheese or skim? Oh I love blueberries!! I used full fat. I made this today to take to Bible study, and put blueberry pie filling on top…..it was wonderful!! Any ideas on different flavor combinations? I am so glad to hear it was a hit Samantha!! It’s awful hard to come up with combinations this early, I need a bit more coffee. Let me get back to you on that. Hey, Christy! I bet you could use that berry blend from that big bag at Sam’s. Just cook it a little and add a little sugar, some corn starch and maybe some lemon zest. I do this and use it on top of your buttermilk pies all the time when I cook for church. What a great idea Kathy!!! Thank you so much for sharing it!! This looks scrumptious!! I’m not a big fan of ricotta, is there something else I could use instead? I love strawberry pie filling, so I think I’ll use that….YUM YUM. You could use cream cheese but I’m not sure if it would fall to the bottom, I think it would. Also, It think 32 ounces are a bit much if you go with cream cheese. Maybe two bricks? But keep in mind I haven’t tried this so you’re experimenting so please report back! This cake looks delicious. I cannot wait to make it this weekend. I need to get the ingredients and I am all set. Thanks Christy! I hope you enjoy it!!!! Have a question. In the picture the cheesecake is on the bottom, then cake, then cherries. The directions say cake is first then cheesecake. Could you tell me which is correct. I’m sure it will be delicious either way. Hey Jeanette! If you check out the first paragraph of the post I explain the “magic” behind that :). I also show pictures of the steps as well. Hope you get to try it soon! I wonder if chocolate cake would work with this? We love the combination of chocolate and cherries! Do you think this recipe would work with a “Bob’s Red Mill” gluten free vanilla cake mix?? I would just make it according to the package and do the rest using your recipe. It’s not a lemon cake. Do you think it will work? I’d love to make this to serve to my Quilts of Valor sewing group for our Valentine’s luncheon!! Thanks, Christy. I love your recipes! Hi Cathy! I have never used that cake mix so I can’t say for certain. I would love to hear how it turns out if you give it a try!! If I’m brave enough to try it, I’ll let you know how it turns out!! Wow these look so good. Bless you. I hope you get the chance to try them soon Mary!! Be still my heart….lemon *and* cherries? Oh my goodness! Will this work with a homemade lemon cake recipe rather than using a cake mix? I would think so. I haven’t tried it using homemade but I can’t see any reason it wouldn’t. Thank you so much for sharing this delicious looking recipe. I think I will just make it for myself for Valentine’s day and I MIGHT share with my husband! I like the way you think Charolett!!! I’m a caregiver for the elderly & would love to make this for my residents! I’m thinking cupcakes though. Any thoughts or tweaks I need to make? Consider making this as written, then use pretty cupcake liners to make individual servings. Just cut small squares and place each liner. Depending on the size you want, use regular, jumbo, paper or foil. When serving a variety of dessert bites, I find this makes a pretty presentation. Would probably go together faster. 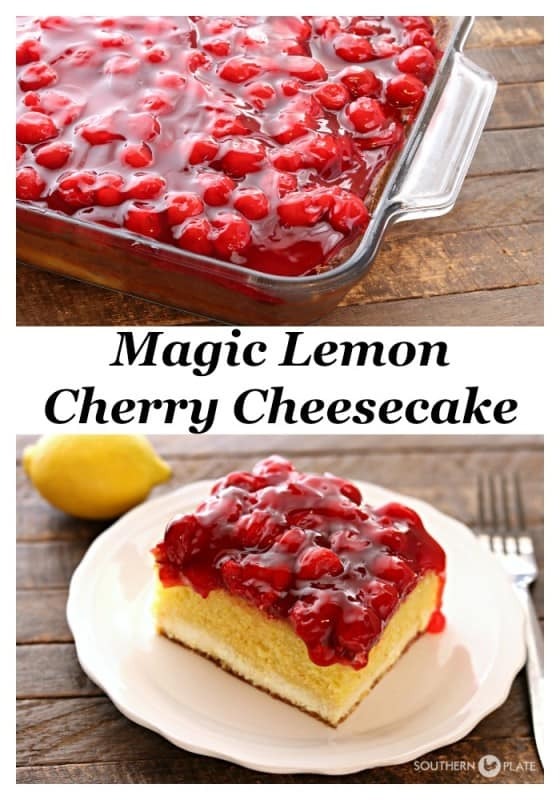 I love anything lemon and my husband’s favorite dessert is cherry cheesecake so this will be a win-win for both of us! I think I will make it for our Valentine’s day dessert. 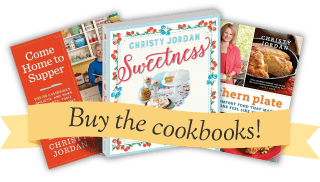 Thanks for all the great recipes and word’s of encouragement. Have a blessed day!! Thank you so much Pam!!! I hope you both love it and have a wonderful Valentine’s Day!!! This is a great make ahead dessert & is also good for a crowd. We made this for a food ministry at church & got positive feedback! YUM….& blueberry might me nice variation!…..Thanks Christy! I need this for a Sunday potluck, but have a very busy Saturday. I’m thinking I should bake the cake on Friday (and refrigerate after cooling) and top with the cherries Sunday morning. Any thoughts? It really didn’t take long to make this cake- I promise. If you have about 20 minutes (includes the washing of your utensils 🙂 you can make it Saturday. I would go ahead and put on the filling when it is done- otherwise it may be a bit dry on the top. I tried the 2 blocks of cream cheese (full fat nothing light for us!) and substituted strawberry pie filling for the cherry. Otherwise I didn’t change a thing. It worked like a dream!